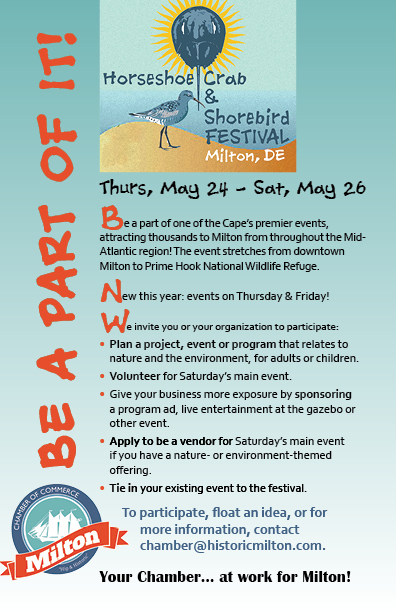 This family friendly, eco-festival stretches from Prime Hook National Wildlife Refuge to historic downtown Milton. The focus is on our natural bounty and wildlife, the resources found in our area and the hope of awakening and strengthening our appreciation of our environment. 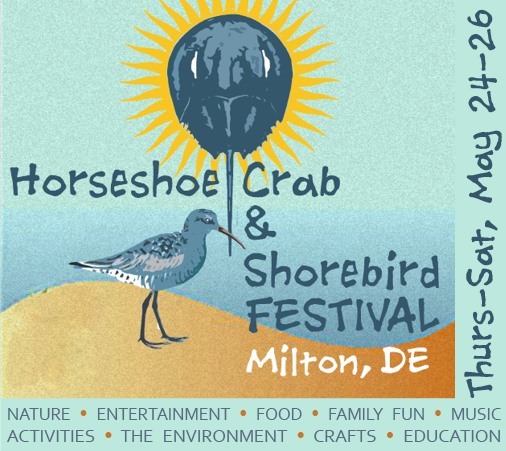 The Festival offers many choices from art to science and nature education to traditional family festival fun.